Our crates have been carefully designed and incorporate superb weighing and reading technology. 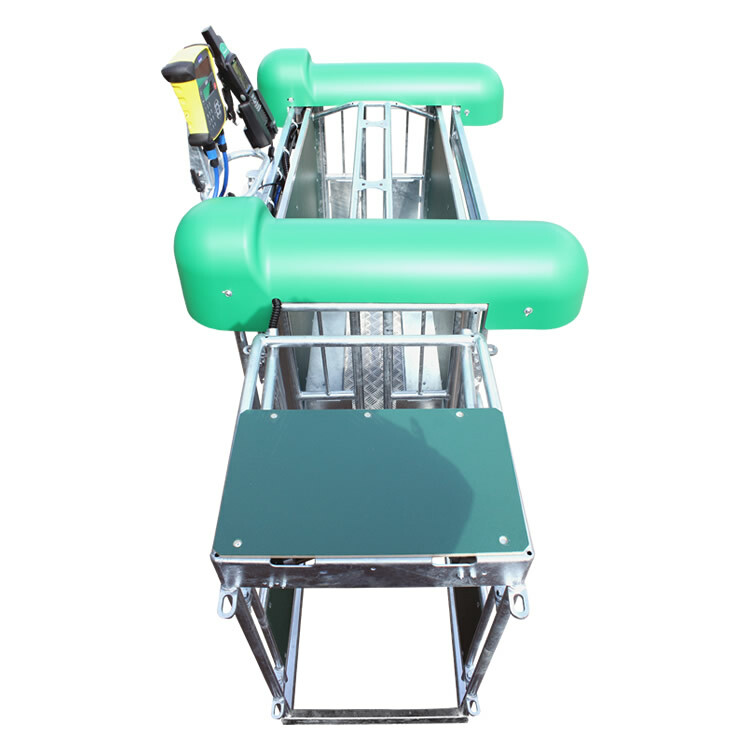 We offer both an EID Weigh Crate and an EID Auto Drafter. 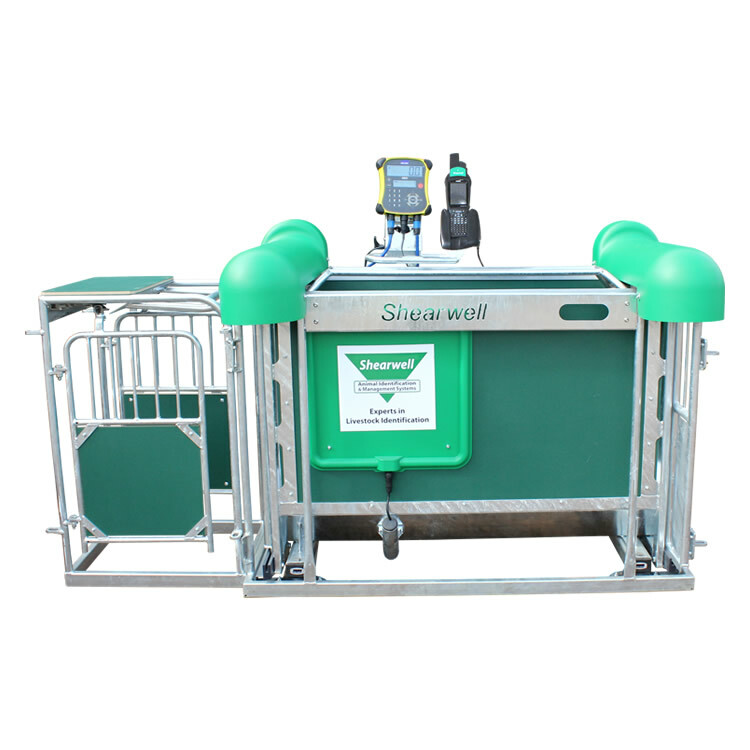 This rugged portable weigh crate will speed up your sheep handling system. Every animal passing through the crate has its EID tag read, its weight taken and both tag number and weight are sent wirelessly to the Stock Recorder. Our patented SDL150 tag reader with a double antenna for maximum readability is built into each weigh crate. Any EID tag in any position will be scanned and the tag number recorded with more speed and accuracy than any human can match with a pen and paper. 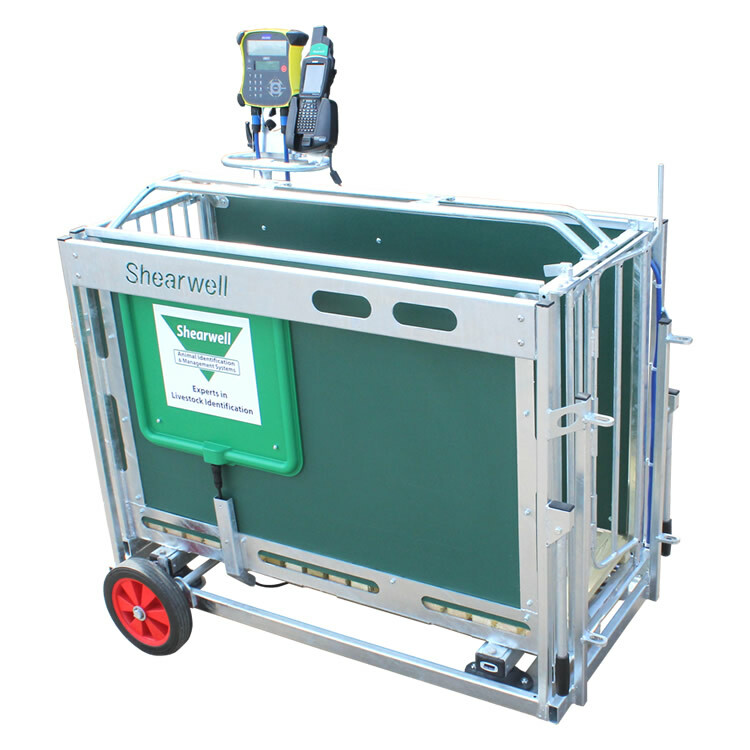 The Shearwell crate you order will be fitted with your choice of compatible electronic weigh head. Please call for details. 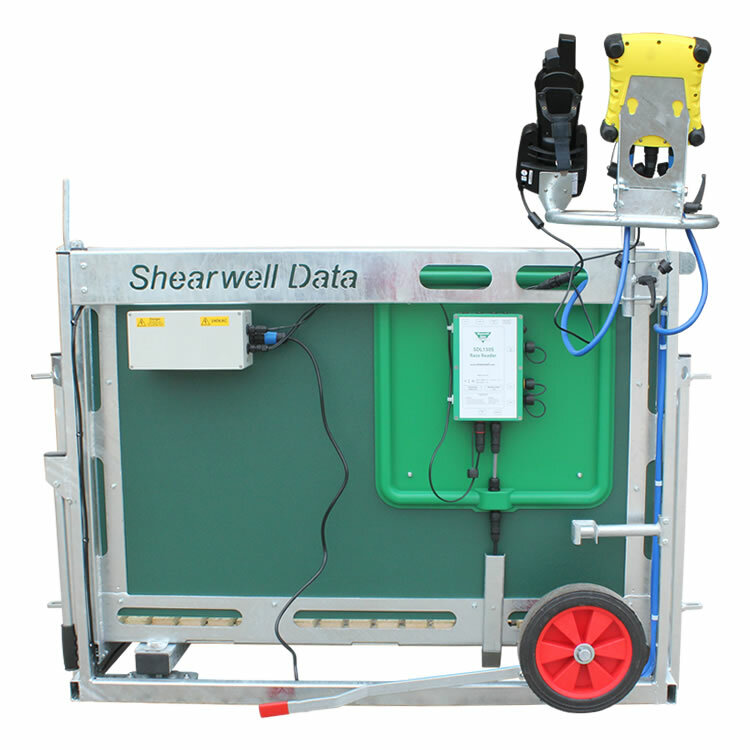 The Shearwell Stock Recorder uses Bluetooth technology to connect to the weigher and tag reader. Tag numbers and weights are saved automatically, with options for simultaneously recording other animal data like treatments or sale details. At the end of the working day download this data into our FarmWorks software and make your management decisions with confidence. 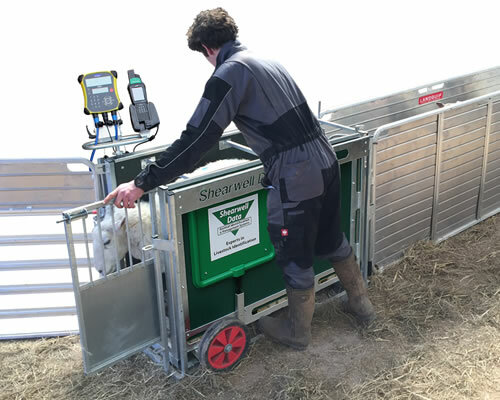 When used with the Shearwell Handheld Stock Recorder, the Stock Recorder will display the last three weights and calculate and show the daily live weigh gain of each animal immediately the weight is recorded. 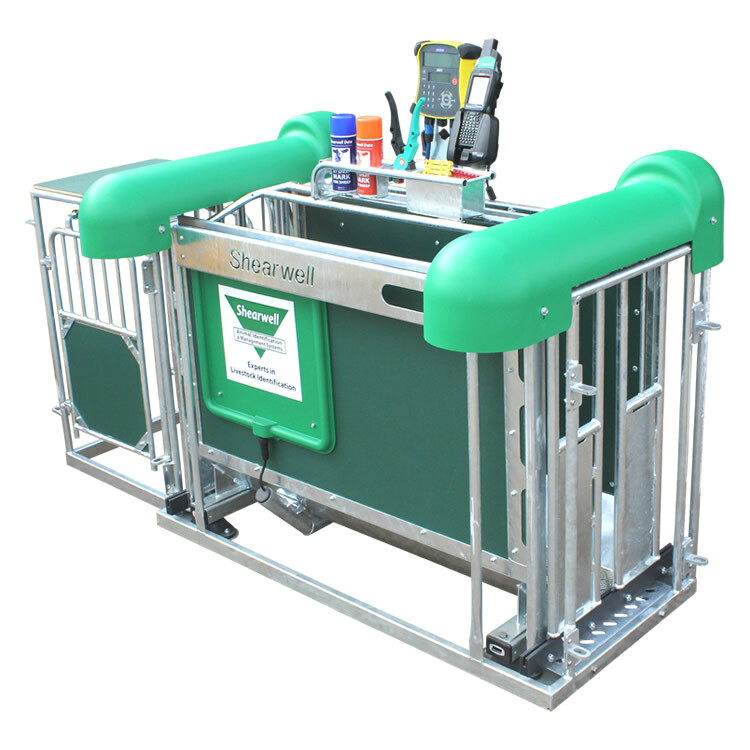 This is the solution for fast and efficient handling of large numbers of sheep. 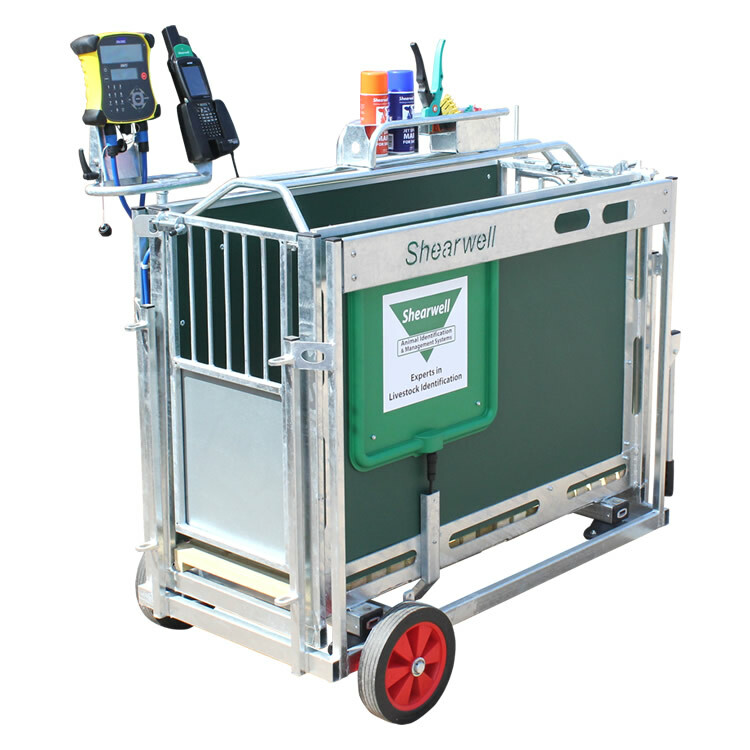 The Shearwell Auto Drafter is three tools in one - it reads and records EID tag numbers, it records weights, and it lets you draft three ways based on your requirements. 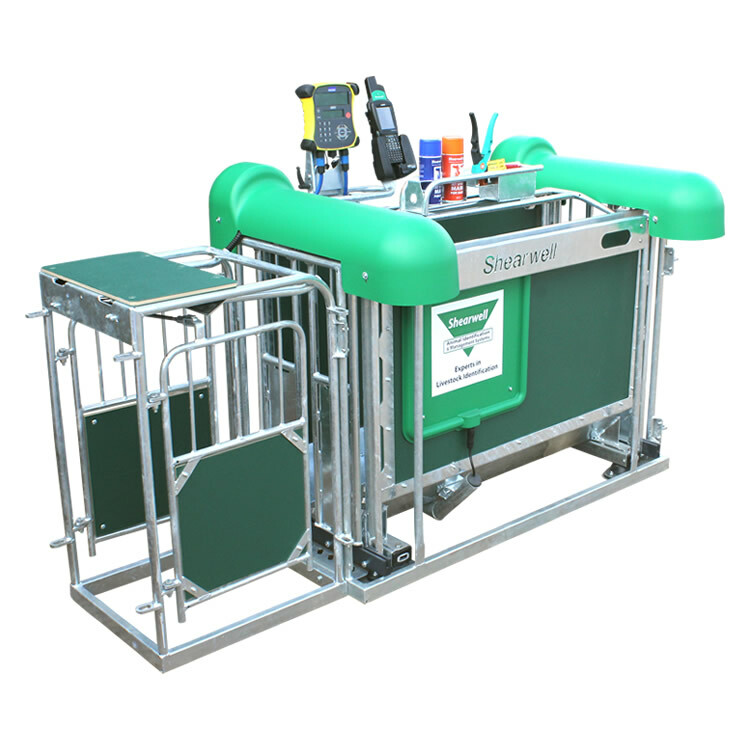 The Auto Drafter can be operated manually with a remote control, or set to run completely automatically using FarmWorks software on the Stock Recorder. The pneumatic gates are fast and quiet - one person alone keeping the sheep moving up the race can weigh and sort over 400 head per hour. Use FarmWorks on your PC to set up any drafting groups you need. 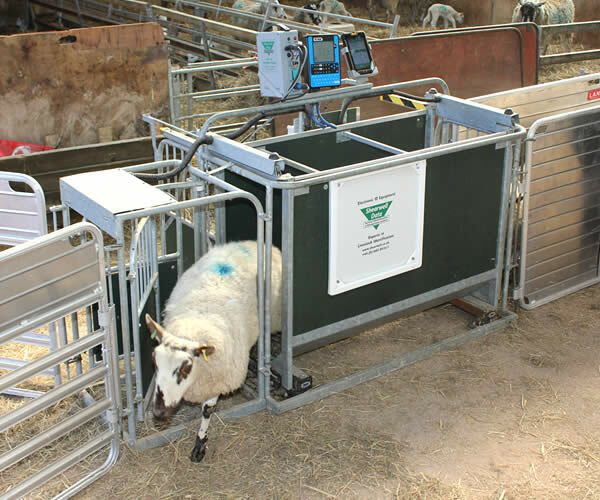 Sort out cull ewes, for example, or twin-born ewe lambs for replacements; set the criteria you want and the Stock Recorder will control the gates on the Auto Drafter to separate your groups. Or run your store lambs through the race to sort them into weight groups - heavy lambs into one pen for slaughter, lighter lambs into another pen for more feeding, and a third group of poor performers to be got rid of as soon as possible. The Stock Recorder uses Bluetooth technology to connect to the weigher and EID tag reader. Tag numbers and weights are saved automatically, with options for simultaneously recording other animal data like treatments or sale details. The SDL150 tag reader featuring our patented switcher technology is built into the Auto Drafter, with a double antenna for maximum readability. Any EID tag in any position will be scanned and the tag number recorded in the Stock Recorder with more speed and accuracy than any human can match with a pen and paper. 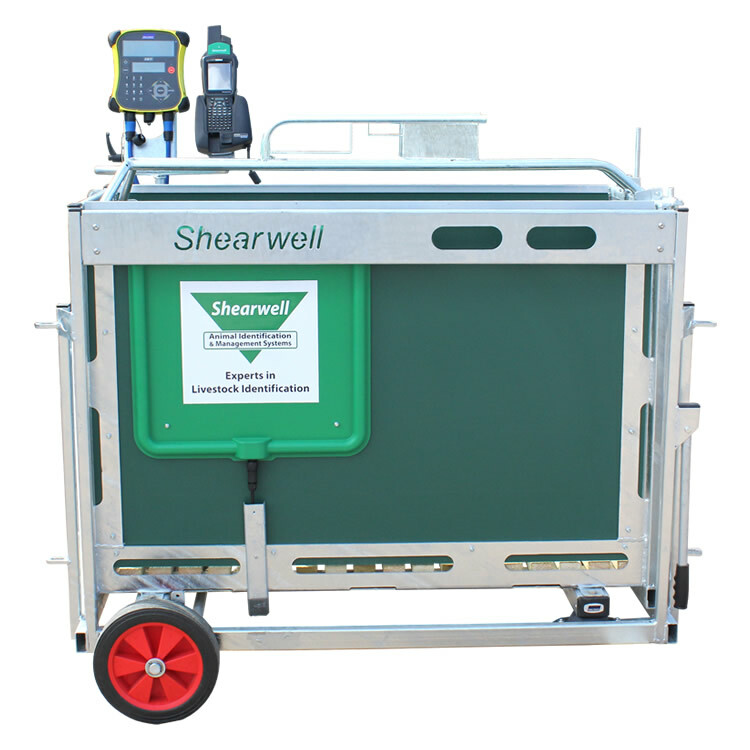 As with our weigh crates, every Shearwell Auto Drafter is fitted with your choice of compatible electronic weigh head. Please call for details.